I like to set aside my studio paintings for a few days or even weeks to "observe" them. Inevitably I see things I want to change once I detach myself from the creative mindset. My left brain is much more critical. 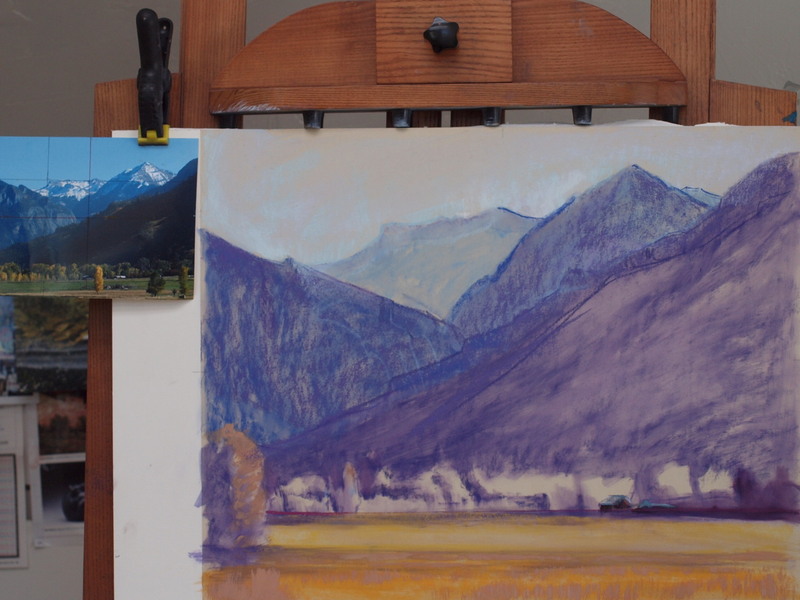 I'm getting some artwork ready for the Weems Galleries pastel show later this month, so here is an example of before and after photos of my painting Morning on the Uncompaghre. Not a lot of difference but now I feel it's ready to be scanned and framed for the show. Here's how the painting looked at the end of Day 2. This is my first blog entry since July 31, 2011. At that point, I already suspected that something was terribly wrong with my husband and soul mate, the love of my life, Mac. By October 7, three days before his birthday, we had a definitive diagnosis: Glioblastoma Multiforme Stage IV brain cancer. Told that he had only weeks to live without treatment, we attacked the disease with everything we had. For the next 25 months, we gave it our all, 24/7. But finally last December, Mac succumbed...not to the disease, but to the treatment. He died of " late effect" radiation necrosis. The story of his battle with cancer is documented on his Caring Bridge website: http://www.caringbridge.org/visit/macayers. Now that he's gone, I am trying to find my way back to my art, so my first entries will be about that journey. Today, for the first time since Mac was diagnosed in 2011, I feel that the "creative window" opened just a bit for a few hours. I have a painting started! The drawing and underpainting are completed. More to follow tomorrow. There must have been some kind of disturbance in The Force this week, and my stars have realigned in a most favorable configuration. 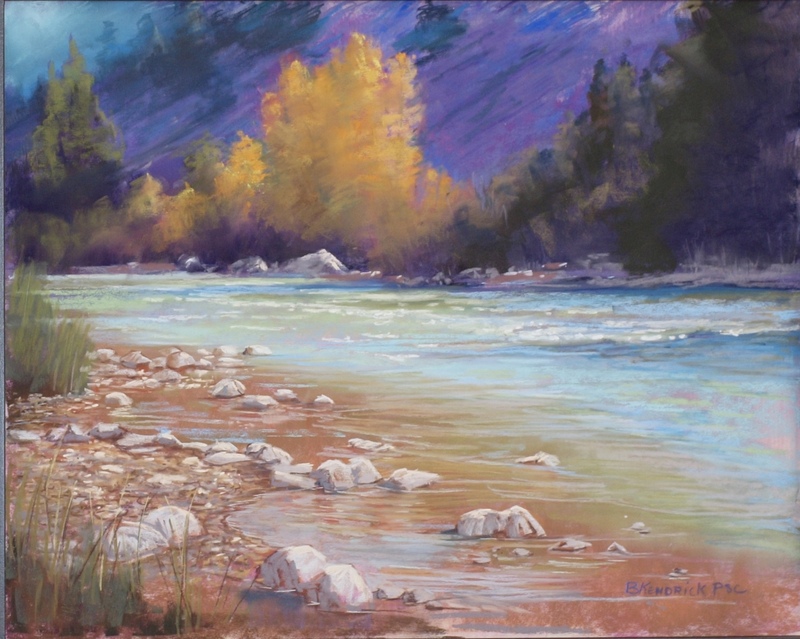 I won a First Place in the 51st Alpine Artists Holiday Show on July 28, and the Judge actually used my painting as an example to illustrate how he selected the winners. 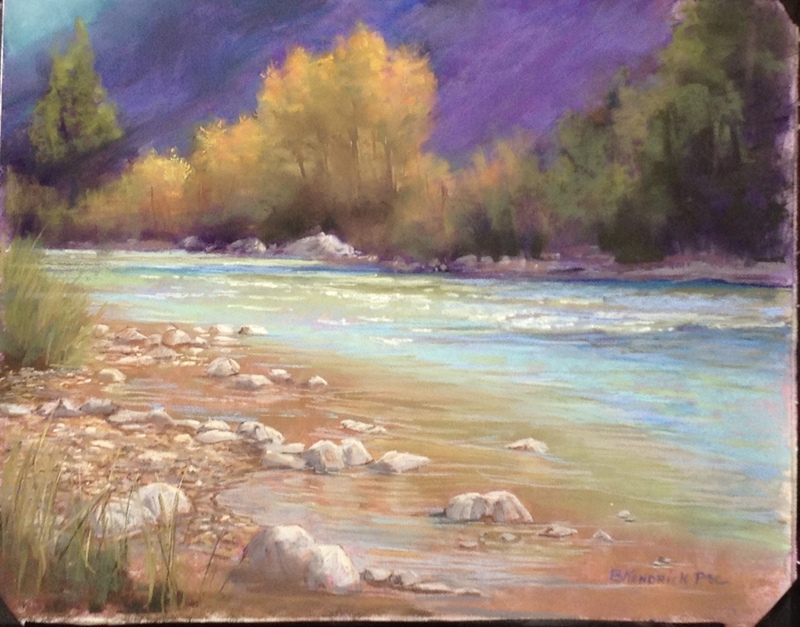 The next day I found out one of my entries was selected for the Paint the Parks Top 100 national tour, and the other entry was a runner up. 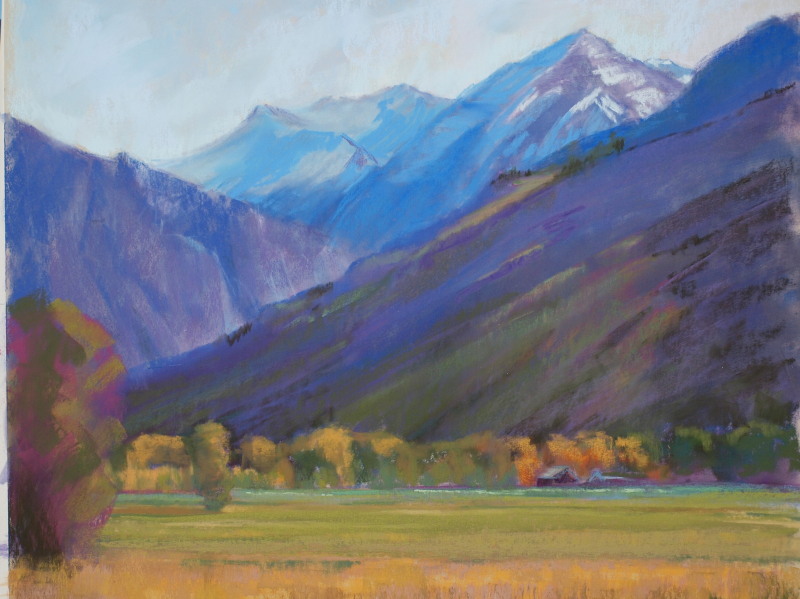 I also received an acceptance into the 2011 Mile High National Show. And last but not least, I received a check from one of my galleries for 3 paintings that sold. A big thank you to my lucky stars.